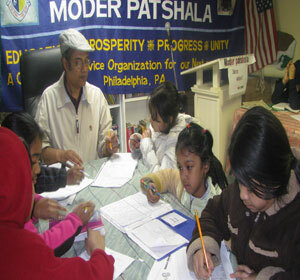 Dr. Faruq Siddiqui is helping students on their homework. 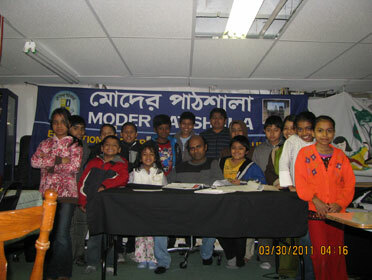 Dr. Fafuq Siddiqui and Najneen Kabita and Moder Patshala's students. 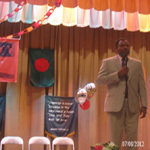 Astronomer Dr. Derrick Pitts, Franklin institute was giving his speech on Graduation Ceromony, 2012. Ali Zaker and student, Jarin were reading a story together. 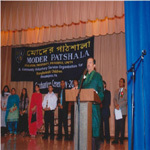 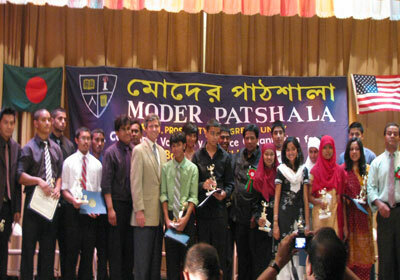 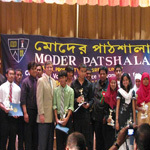 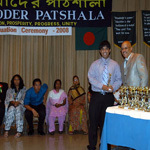 Moder Patshalas founder,Ali Zaker was giving his speech on Graduates ceromony, 2012. 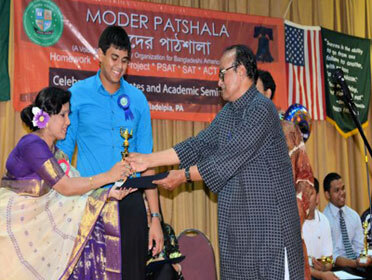 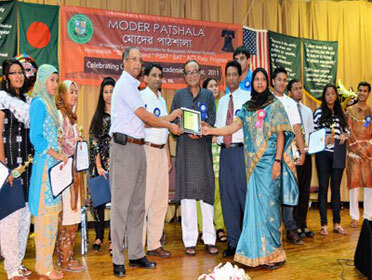 Moder Patshalas co-founder, Najneen Kabita was helping the students.
. Pennsylvania House of Representative, James R. Roebuck was giving speech on Graduates Ceromony on 2011. 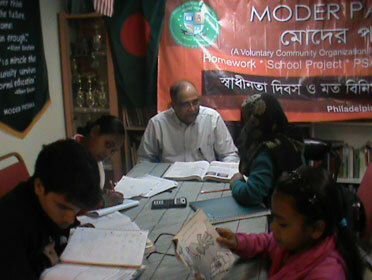 Dr. Hyder Ali was helping the students. 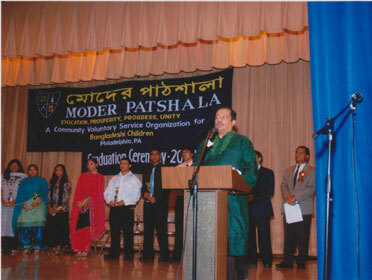 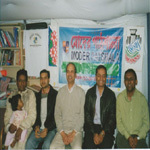 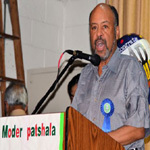 Mr. Roebuck received a honourable pluque from Moder Patshala's volunteers,2011. 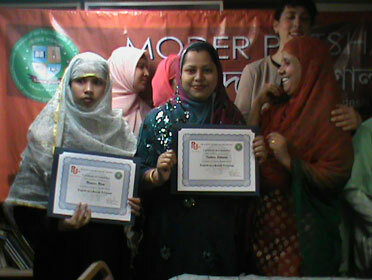 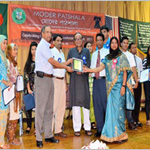 Dr. Fatema Ahmed was giving trophies to essay(International Mother Language Day)competetors,2012.
. Mr. Momtajuddin was receiving honorable plauqe from Moder Patshala's volunteers,2011. volunteer tutor, Kabir Golam (middle), and founder Ali Zaker (left) with students. 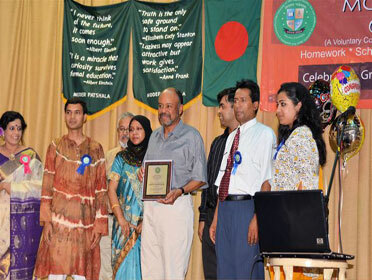 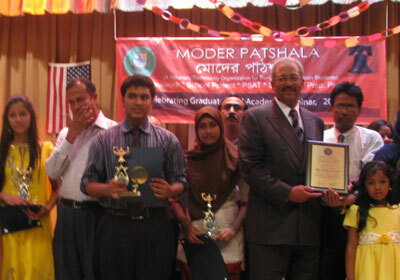 Momtajuddin Ahmed (right), Minister (cultural), Bangladesh Permanent Mission to the United Nation was giving trophies to graduates on Graduates ceromony, 2011. 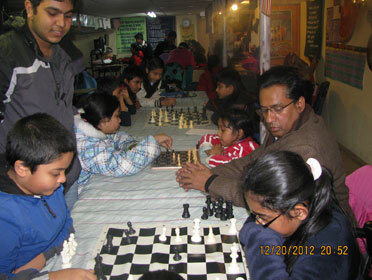 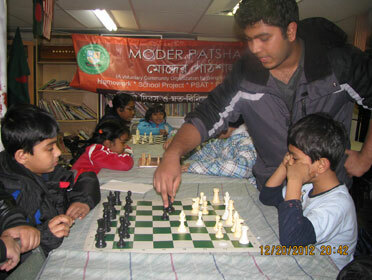 Ripan Saha was helping the students. 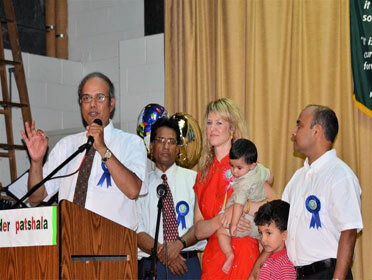 Salauddin Ahmed was declaring Julie Joarder and Salim Shamsuzzaman's name for best perticipation of community service 2011. 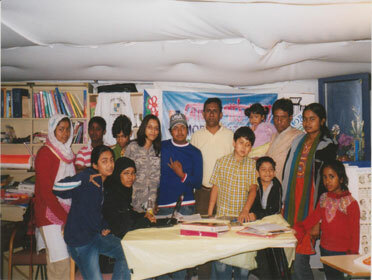 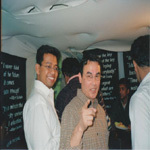 Dr. Wadud Bhuiya (middle) with the students. 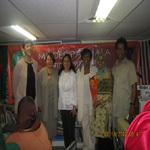 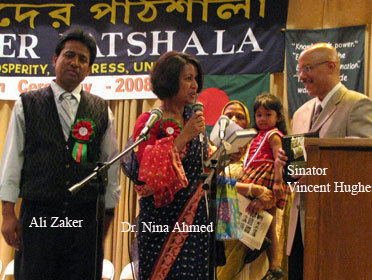 Congressman Joe Sestak with Ali Zaker(left) and Najneen Kabita (right), 2009. 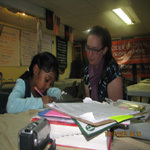 Emaly Sadler was helping a student. 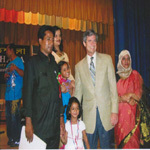 Congressman Joe Sestak was giving speech to graduates on Graduates ceromony,2009. 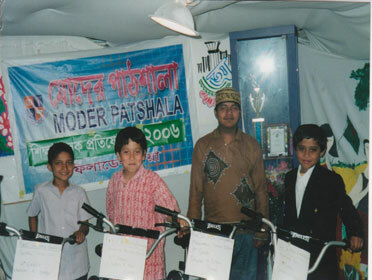 Mohammed Ishaque was helping the students. 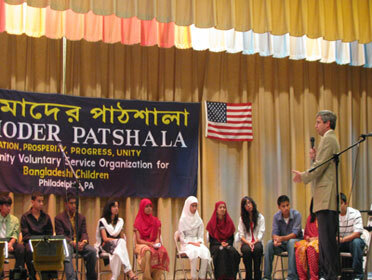 Mr. Sestak with graduates and volunteers, 2009. 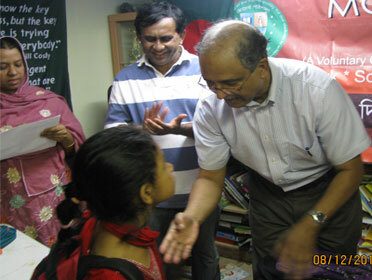 Dr. Ibrul Hassan Chowdury was helping the students. 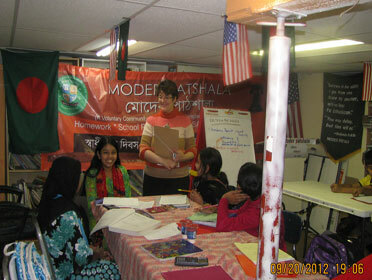 Jennifer Butler was helping the students. 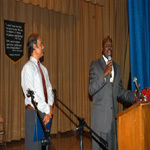 Vincent Hughes, State Senetor, State of Pennsylvania was giving trophies to groduates on Graduates Ceromony, 2008. Solomon Jones, Director of community outreach, Congressman Chaka Fatha's office was giving speech on Graduates ceromony, 2008. 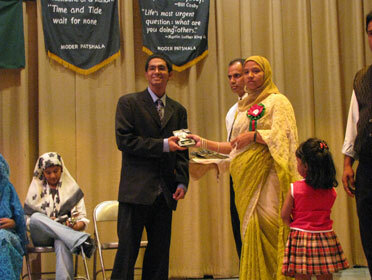 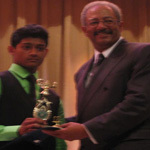 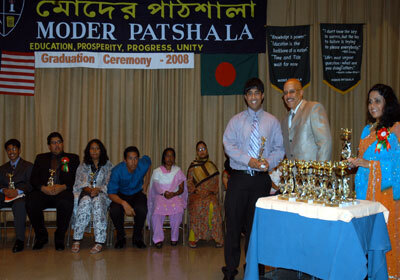 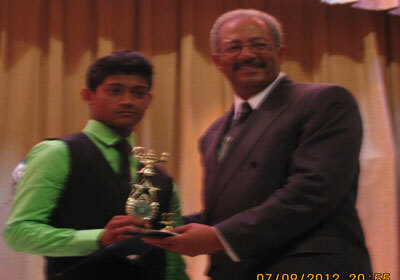 5th and 8th grade's students received trophies for their academic achievement, 2008. 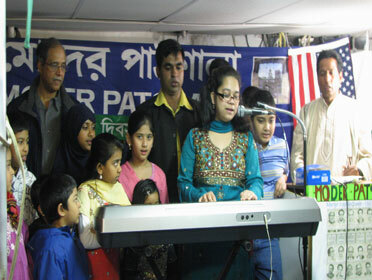 Salauddin Ahmed was singing on Bangladesh Independance Day at Moder Patshala. 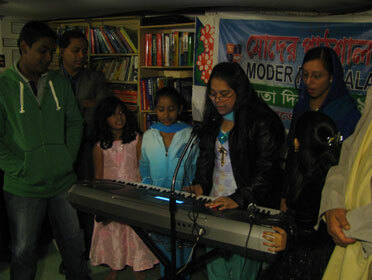 Tasi and others singing Bangladeshi Anthem on Independance Day. 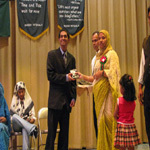 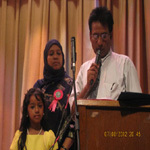 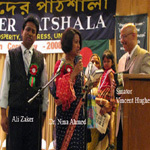 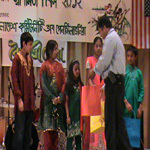 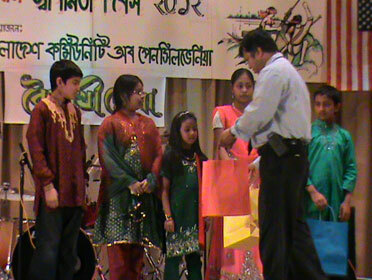 Najneen Kabita was giving plaques to essay(Aim in life) competetors, 2008. 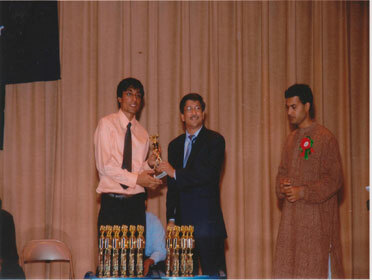 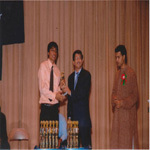 Profesor Dr.Abul Hussam was giving Trophies to graduates on Graduation Ceromony, 2007. From left founder Ali Zaker and volunteer tutors Ripan Saha, Salauddin Ahmed, Dr. Hyder Ali and Dr. Ibrul Hassan Chowdhury (right). 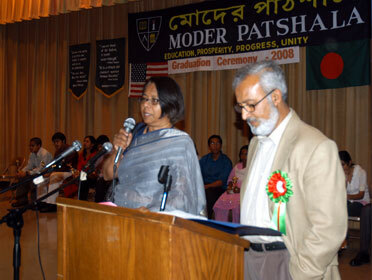 Dr. Ziauddin Ahmed was giving speech on Graduates Ceromony,2007. 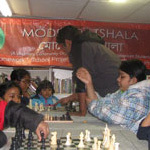 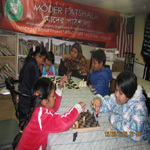 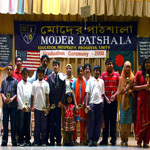 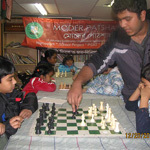 Moder Patshalas volunteers and students. 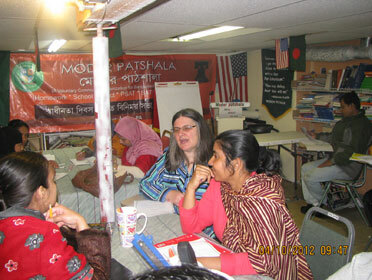 In ESOL Program at Moder Patshala, Ms. Elizabeth and parents working together. In ESOL program, parents are learning English at Moder Patshala. 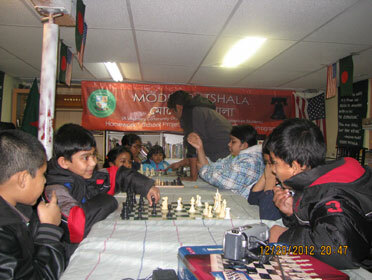 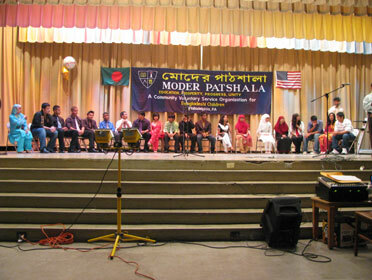 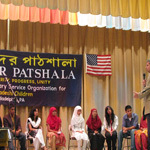 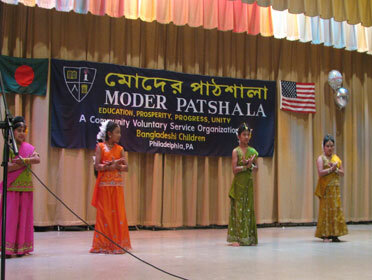 The guests from School District of Boston visited Moder Patshala. 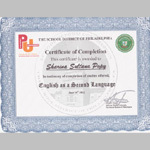 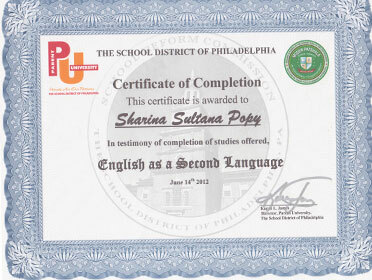 Certificate issued by School District of Philadelphia and Moder Patshala to parents. 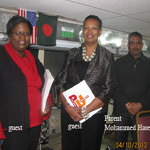 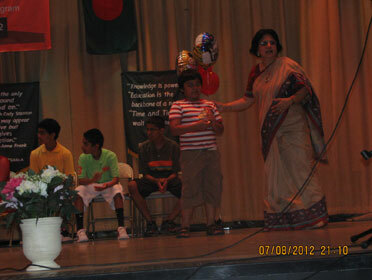 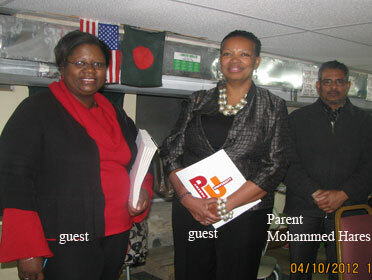 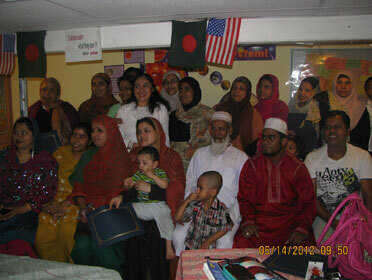 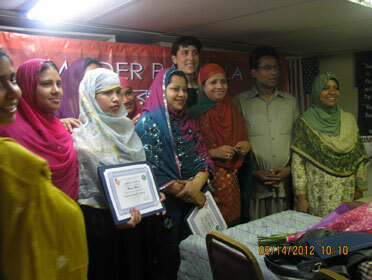 Ms.Linda, From School District of Philadelphia with Moder Patshala's parents in ESOL program at Moder Patshala, 2012. 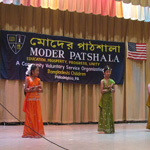 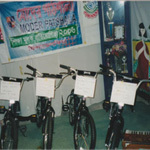 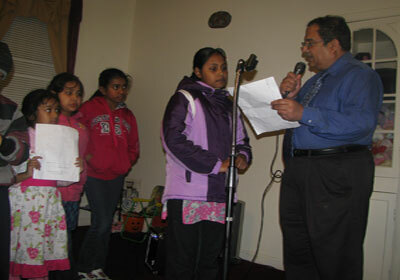 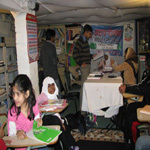 Parents received certificates at the end of their classes (10 weeks) from Parents University, School District of Philadelphia and Moder Patshala, 2012. Ellen Polsky, Director of Education, Nationalities Service Center was preparing to give lesson to parents at Moder Patshala. 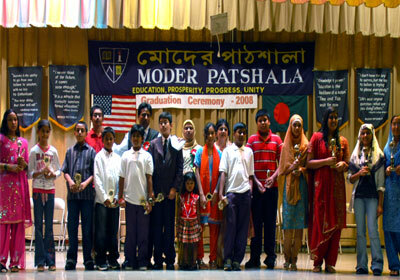 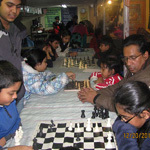 Parents and volunteers at Moder Patshala. 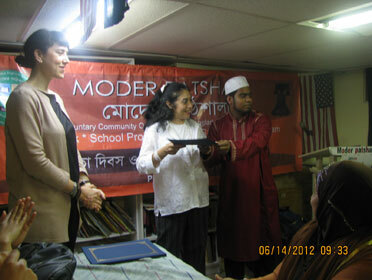 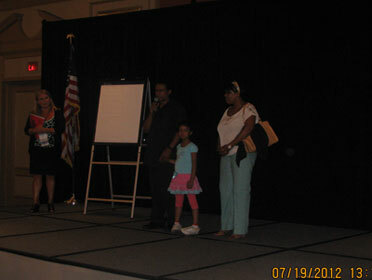 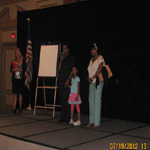 Ms. Linda was giving certificate to parents. 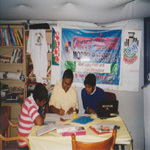 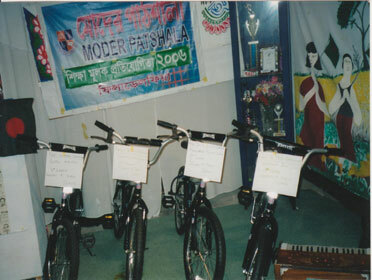 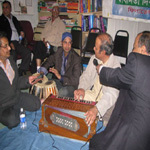 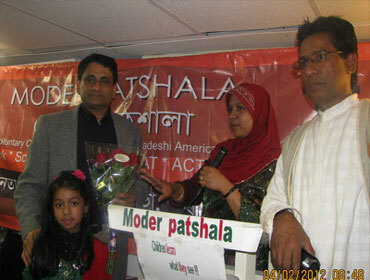 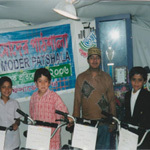 Moder Patshala's founder Ali Zaker, Najneen Kabita and volunteer teacher Golam Kabir. 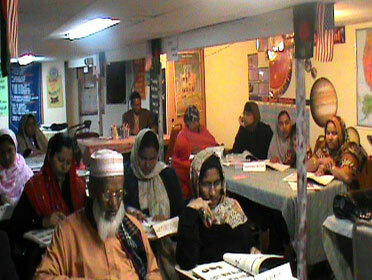 Dr. Ziauddin Ahmed teaching Moder Patshala's students how to recite poem. 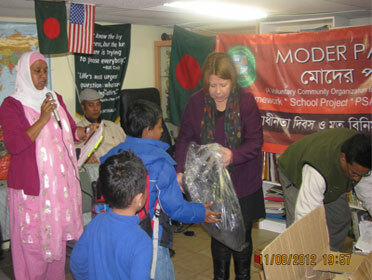 Ali Zaker went to receive school supplies and bookbags for students at Westin Hotel from Glaxo Smithline INC.
Dr. Faruq Siddidui, Dr. Ibrul Chowdhury and Najneen Kabita distributing bookbags to students. 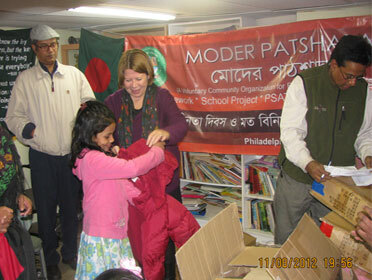 From left Salauddin Ahmed, Ludy Soderman and Ali Zaker were distributing winter coat to students.